With an astounding 40 plus albums and 15 Grammy Awards to his name, American banjo master Béla Fleck has carved a name for himself as the premiere banjo player in the world. 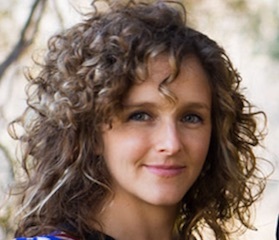 Together with his wife, Illinois-born and Nashville-based singer-songwriter and clawhammer banjo player Abigail Washburn, the acclaimed duo reinvent the sound of the banjo with their delightful wit and impressive technique. 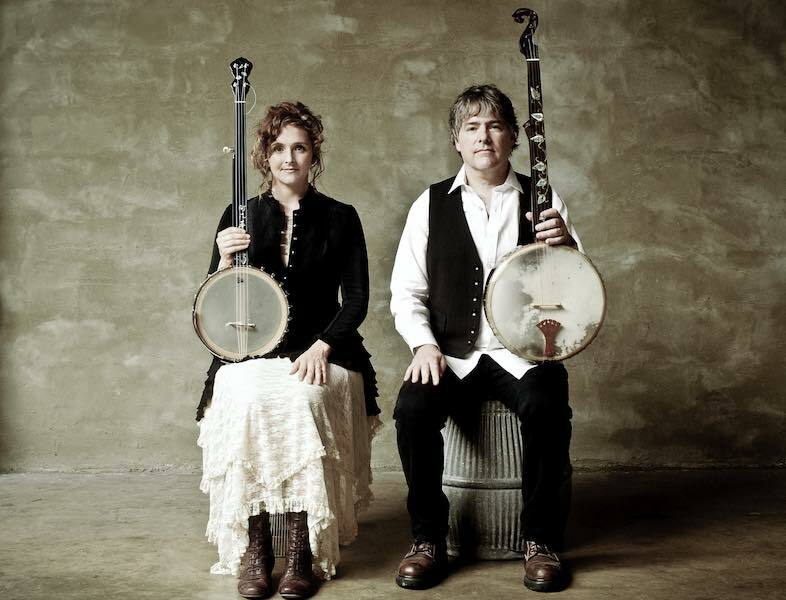 Béla Fleck and Abigail Washburn will take to the stage in Sydney, Melbourne and Adelaide. Adelaide: Fri. 12th August – Adelaide Guitar Festival. With warmth and wit, the husband-and-wife duo reveal the extraordinary expression of a much-maligned instrument’ – The Guardian (UK). From bluegrass to classical, and world beat to jazz, Béla Fleck and Abigail Washburn’s performances display a musical diversity that is almost inconceivable. Fleck’s riveting and virtuosic musicianship blends seamlessly with Washburn’s enthralling composing, playing and voice to create a truly unique sound and setting to witness the remarkable range of an instrument that was once limited to old-world genres. As husband and wife, Fleck and Washburn have a spellbinding connection both on and o the stage. When performing, Washburn says they’re able to ‘anticipate things beautifully because of each other’s intense knowledge, and comfort with the other’. And this connection is unmistakeable on the duo’s two recent releases – their self-titled 2014 album and their 2015 Banjo Banjo EP, both receiving rave reviews across the globe. Celebrated for both thrilling banjo lovers with their live performances and converting banjo haters with their refreshing style of banjo music, Melbourne audiences will not want to miss this remarkable duo when they perform live and intimate in Melbourne Recital Centre’s stunning Elisabeth Murdoch Hall. On the 9th August, the Melbourne Recital Centre will present the opportunity for a rare up-close and personal discussion with banjoists Béla Fleck and Abigail Washburn, moderated by Melbourne’s own banjoist and singer/songwriter Sal Kimber. These artists will share insights into their creative processes, musings on their long careers – and treat us to a few songs along the way. This is a unique opportunity for an intimate audience to participate in the creative conversation and learn from these remarkable musicians. 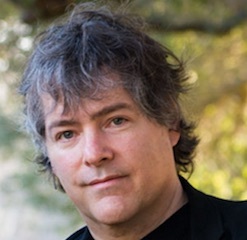 Born with the names Béla (after Hungarian composer Béla Bartók), Anton (After Czech composer Antonin Dvořák) and Leos (after Czech composer Leoš Janáček), Béla Fleck was destined to immerse himself in classical music. Already a creative force in bluegrass, jazz, pop, rock and world beat, Béla made the classical connection with Perpetual Motion, his critically acclaimed 2001 Sony Classical recording which earned him two Grammy Awards, including Best Classical Crossover Album. From performing his concertos with world-class symphonies, to performances and collaborations with Chick Corea, Zakir Hussain and Edgar Meyer, Brooklyn Rider String Quartet, Oumou Sangare and Toumani Diabate, Béla Fleck and his original band The Flecktones still perform regularly together, 25 years since the group’s inception. A singing, songwriting, Chinese-speaking clawhammer banjo player, Abigail is celebrated for her musical and cultural projects from the recovery zones of earthquake-shaken Sichuan, to the hollers of Tennessee. She pairs venerable folk elements with far- ung sounds, and is one of the few foreign artists touring China independently and regularly. Along with 24 innovative and creative thinkers from across the world, she was named a TED Fellow and presented at the 2012 Ted Convention about building US-China relations through music. Her efforts to share US music in China, and Chinese music in the US exist within a hope that cultural understanding and the communal experience of music will lead the way to a richer existence.